It’s so disappointing when a menu item sounds inventive and delicious – and you nearly go out of your mind with excitement while waiting to eat – and then your plate arrives and it looks nothing at all like what you had imagined. Knowing the true nature of a plate of food or a drink before ordering would put an end to a lot of unnecessary dissatisfaction. Dished is an app that’s all about individual dishes. It’s a tool for discovering great dishes, rating dishes, and sharing the dishes that blow your mind with others. With Dished, you rate food and drink items rather than restaurants. You can upload photos and leave comments as well. After you’ve shared your review, it gives others a more complete look at what a dish is all about. You can also save your dishes to help you remember what wowed, and use stored dishes to help you find other similar standouts. Reviews of specific dishes are geo-tagged so others can track them down. Reviews are also built for easy sharing on Facebook, Twitter, Tumblr and Pinterest. Much like a Favorite or a Like, users can YUM an item on Dished to draw extra attention to exceptional dishes. Dish works as a great discovery tool for finding food and drinks that you’ll love wherever you plan to go. You can hunt down particular items you’re craving (pizza, pad thai, etc.) or find dishes that meet your dietary requirements (vegan, gluten free, etc.). You can also search dishes by cuisine type – whatever it is that you have a hankering for, Dished helps you find the best of the best in your area. Restaurant reviews and ratings may help diners decide where to go to eat, but have left us mostly doing a lot of guesswork when it comes time to decide what to eat. God help you if an establishment has an extensive menu and you’re indecisive by nature. You can easily spoil your good time and drive away friends by taking too long to figure out what’s for you. 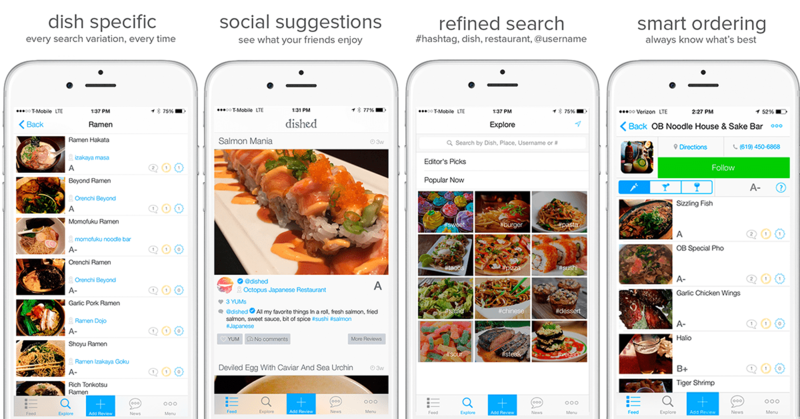 Dished lets you compare items, follow the suggestions of trusted friends and foodies, and arrive on the scene with a firm idea of what you’ll have. You’ll basically never go wrong when ordering again. Currently available for download in the App Store, Dished works like a handy food guide that’s custom fit for each palate. 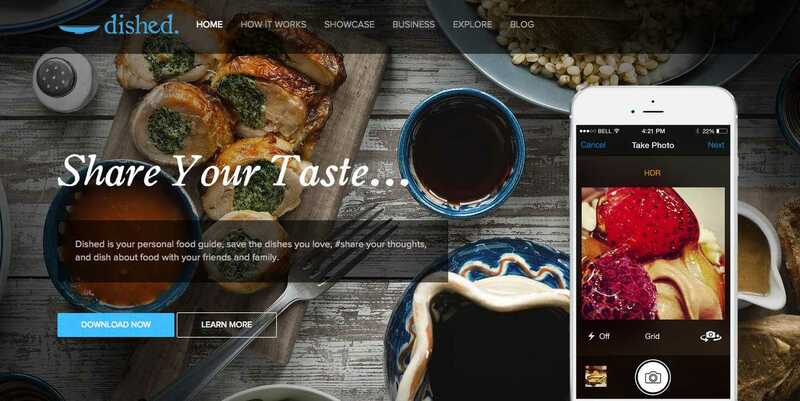 Savor mouthwatering bites a little longer by rating and saving dishes you love, and use dish-specific reviews to find out who prepares your favorite flavors the best. Get started finding, tasting and sharing great dishes at dishedapp.com.